In his final words to his disciples, our Lord Jesus Christ commissions us to "Go therefore and make disciples of all nations, baptizing them in the name of the Father and of the Son and of the Holy Spirit, teaching them to observe all that I have commanded you; and lo, I am with you always, to the close of the age" (Matt 28:19-20). Mission is not simply a compartmentalized aspect of our Church, but the very essence and nature of the Church imply missions. 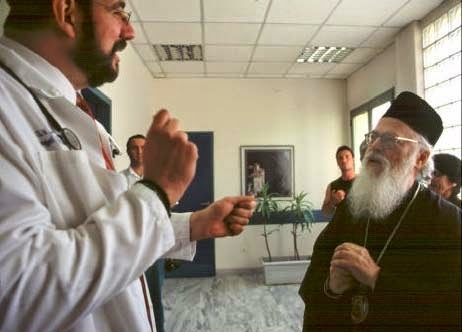 Missions play a central role in Christianity and, as affirmed by Archbishop Anastasios of Albania, a denial of missions is indeed a denial of Orthodoxy. This, of course, reminds us of an important truth about our faith found in the letter of James, "Faith by itself, if it has no works, is dead" (James 2:17). At St Innocent we understand that our missionary call takes place at three levels: local, national, and international. We commit to support our missionary call by praying for all missionaries, supporting them financially, and being ourselves active in the missionary field. Our parish is proud to support and work together with two of the greatest Orthodox Christian ministries in this country, the International Orthodox Christian Charities (IOCC) and the Orthodox Christian Mission Center (OCMC). In prayer, as well as financially, St. Innocent supports two Orthodox Christian OCMC missionaries who work abroad to spread the Good News of Jesus Christ. Please, join us praying ans supporting the Hoppe Family who labor in Alabania, and Jesse Brandow who labors in Guatemala. At St Innocent we are blessed to have some parishioners who have responded to Christ's commission becoming active laborers of Christ around the world. 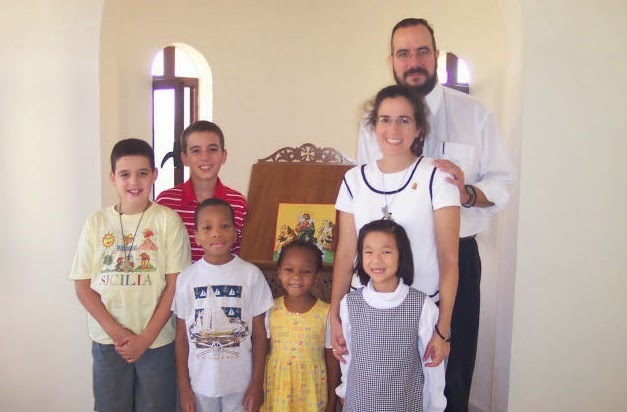 In June, 2000 Dr. Charles and Maria Linderman, together with their five children George, Anthony, Joanna, Adrian, and Melania left for Albania as missionaries of the Orthodox Christian Mission Center (OCMC). Once in Albania, they served the Archdiocese in a variety of ways. Dr Charles performed charitable surgery in a clinic run by the Albanian Orthodox Church, while Maria organized and operated the Children's Home of Hope, a foster home providing care to over thirty children, ages 2 to 14. In the last couple of years of service in Albania, Maria served as director of the Protagonist School in Tirana. In 2013, Maria and the children came back to the United States in order to facilitate their transition to American colleges, while Charles continues to serve in the field. In 2002, the Lindermans were joined by their relatives and also parishioners of St Innocent, the Russell/Linderman family. 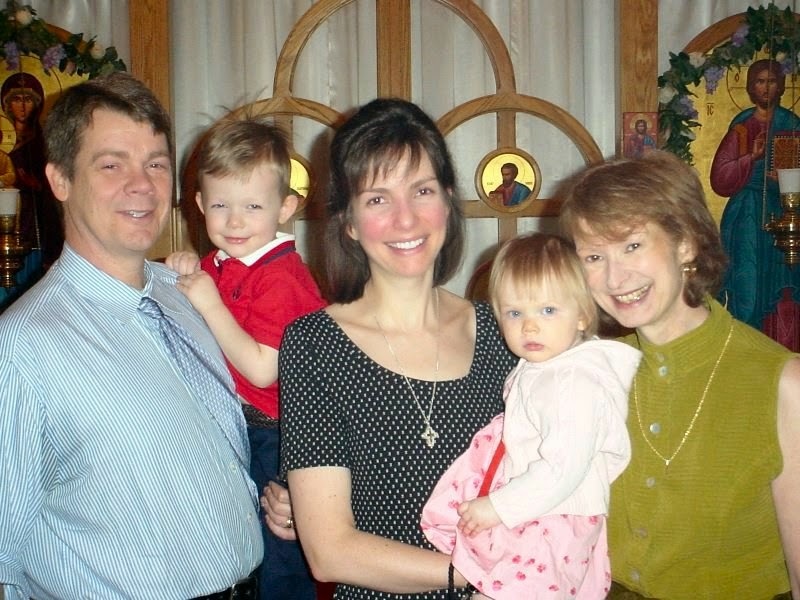 George and Pauline Russell, together with their children Christopher and Madeline, as well as Pauline's mother, Melanie Linderman, left for Albania to begin their service an OCMC missionaries. The Russells served in Albania for seven and a half years. They worked at the Orthodox Soup Kitchen in Tirana, while Melanie taught English at the Resurrection of Christ Seminary. Pauline was also the director of the Protagonist School for a number of years, and George used his professional background to work with Albanian business people by working with Amtek, an Albanian company he established to bring professional web design and marketing to Albania. While in Albania, both the Linderman and the Russell families worked closely with his Beatitude, Anastasios. Our parish has a special connection to the Orthodox Christian missionary effort in Guatemala. One of our parishioners, Catherine Fuller-Morton, is the treasurer of Friends of Hogar. Catherine planned a parish mission trip down to Guatemala back in 2009. Our parishioners worked at the Hogar Rafael Ayau Orphanage, providing labor support and coordinating activities for children. Recently, our parish was blessed to host a presentation by Jesse Brandow, the OCMC missionary in Guatemala. See related story here. Currently we are proud to have one of our parishioners working in the missionary field. 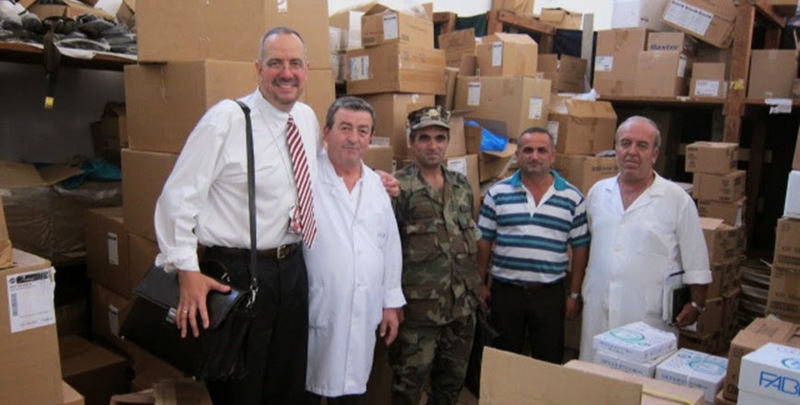 After serving as an OCMC missionary with his family for many years in Albania, Dr. Charles Linderman founded the Medical Response for the Diplomatic Corps. The not-for-profit designation of the MRDCINT allows for the re-investment in the infrastructure and the support of numerous humanitarian activities. These activities include supporting the Children’s Home of Hope, medical/surgical support for the poor, as well as support for the local Orthodox Church. Dr. Charles is currently working both in Albania and South Sudan. Donations can be made online by following this link. PLEASE, JOIN US IN PRAYER FOR ALL WHO LABOR IN THE NAME OF CHRIST IN THE MISSIONARY FIELD, ESPECIALLY FOR OUR PARISHIONER CHARLES.